Dent Max understands your automobile is an investment and realize you would like to maintain the new car look for as long as possible. 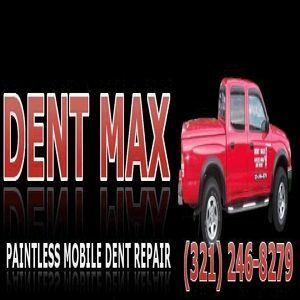 Tap Here to Call (321) 246-8279 That's why Dent Max delivers Florida residents great cost effective solution for your auto. Restore your auto back to its original condition. When You need paintless dent repairs Debary, Fl to repair your dings, dents, and hail damage you want to call us. We specializes in: - auto paintless dent repair - Paintless Dent Repair (PDR) - dent repair - paintless door ding repair - door ding repair - door dent repair - hail damage dent repair - valleywide mobile service - free estimates - over 13 years experience Our reputation is built on the quality of service and value we provide. Boynton Beach mobile dent repair professionals, high quality paintless dent removal (PDR), for one of the best door ding and hail damage repair services.